Comma rules? I don’t need no stinkin’ comma rules. I use my ear to determine whether or not I need a comma. If there is a pause, I insert a comma. Honestly, that was my thinking in my naive, younger days. If it’s also your approach, let me recommend you think again. The comma-by-ear method doesn’t work — at least not consistently. I inevitably inserted unnecessary commas all over the place. My beloved proofreading wife (who is good at many things, including the finer points of comma usage) would patiently eradicate my many needless commas, and eventually convinced me to learn the rules myself. Take my advice: learn the rules. There are only eleven rules for using commas. At the very least, it will make you incrementally superior to the billions of earthlings who do not know them! 1. Don’t use a comma between the subject and its verb*. Nope: Francis, aimed his crossbow at the pterodactyl and fired. Yup: Francis aimed his crossbow at the pterodactyl and fired. *An exception would be if a non-essential phrase or clause is inserted between the subject and verb. Even in this case, however, the commas serve to set off the phrase or clause, not merely to separate the subject and verb. Example: Francis, an excellent marksman, aimed his crossbow at the pterodactyl and fired. 2. 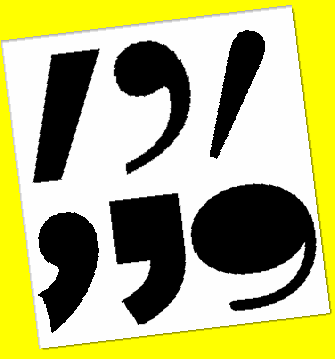 Don’t use a comma between compound subjects or between compound verbs. Ugh: My plumber, and my dentist play bocce together on Wednesdays. Ahh: My plumber and my dentist play bocce together on Wednesdays. Yuck: Alex reached for the remote control, and knocked over the lava lamp. Yum: Alex reached for the remote control and knocked over the lava lamp. 3. Don’t use a comma between items in a list if there are only two. Uh-oh: Sarah brought nacho chips, and plastic spoons to the hoedown. Mm-hm: Sarah brought nacho chips and plastic spoons to the hoedown. Smiley face: Mrs. Johnson’s garden was ruined because rabbits nibbled her cucumbers. 5. Don’t use a comma before a prepositional phrase. Boo: I signaled to the mayor about the mustard, on his lip. Hooray: I signaled to the mayor about the mustard on his lip. 6. Don’t use a comma after and or but. Hiss! : During our nursing home visit, I challenged old Mrs. Blanton to some arm wrestling and, she only beat me three out of five rounds. Huzzah! : During our nursing home visit, I challenged old Mrs. Blanton to some arm wrestling, and she only beat me three out of five rounds. 7. Don’t use a comma before a list. Buzz! : Three of my favorite pastimes are, gerbil juggling, plant watering, and gargling. Ding-ding-ding! : Three of my favorite pastimes are gerbil juggling, plant watering, and gargling. 1. I think you should let your readers know what style manual you are using for a reference. 2. Take a look at your rule #7 What is the style in use? MLA cancels out the last comma CMS Doesn’t. I agree with the “Don’t” use before a series but before the conjunction can cause a problem. 1. I am not using any particular style manual, Ron. The comma rules I list are fairly universal and agreed upon by the three major manuals you mention. My advice would be to go with your gut and not worry so much about grammatical correctness. I’m no expert in book contracts, but I have to believe that precision with commas isn’t much of a deciding factor with agents and publishers. The rules don’t require a comma, but many of the great writers of our generation make their own rules. Have you read any Cormac McCarthy, for example? He refuses to use quotation marks at all. I’m not recommending that kind of avant-gardism, especially if this is your first attempt at publication, but I think you have permission to take some poetic license. It’s one thing to take a few pictures, and another to risk your life on what many would call a fool’s errand; but the two go hand in hand when you’re trying to get close-up shots of Cape Buffalo in their natural habitat. When I take out the comma, the results somehow feel less readable, or at least less rhythmical (if that makes any sense); it’s almost as if the reader must back up to parse the division of ideas. Given that the hook is arguably the most important part of the query letter, I want the sentence to be both compelling and grammatically correct.